Body odour, specifically stinky pits is a daily battle over here. I’ve been using safer, “cleaner” body care products for years but my Secret antiperspirant was the last to go. First off, there is no such thing as a “natural” antiperspirant so I had to make the leap to the deodorant category. This means I had to finally accept having damp armpits as part of my body’s natural detoxification system. But I didn’t have to accept stinky armpits. Over the years I’ve tried dozens of “cleaner” deodorants and really struggled to find one that worked. My absolute favourite for the past 5 years has been Routine’s de-odor-cream, specifically the “like a boss” formulation. This one is primarily clay, beeswax, coconut oil and baking soda based with essential oils. I’ve tried most of Routine’s different formulations and I can only stand behind “like a boss” with confidence. They have a new one out called “rock star” that has added charcoal and magnesium but it just doesn’t cover up my stink as well as “like a boss”. Besides super clean ingredients, you only need to apply a pea size amount to each pit so a jar lasts 3-6 months. I only apply it once a day but if you are a sweaty person you may need a touch up before heading out for the evening. The biggest complaint I receive when I recommend this deodorant is that it needs to be applied with your finger and rubbed into your armpit. It’s really not a big deal but it was an adjustment. Honestly, I was thrilled that I had found a deodorant that actually worked, smelled nice and was made of ingredients that I could pronounce. Did I mention this is a Calgary based company with a lovely story behind it? You can read more about Routine here. 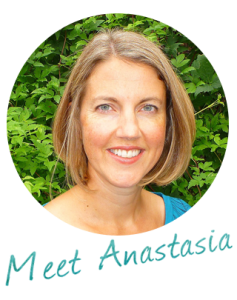 You can find their products in many health food stores and holistic pharmacies. Okay, I know some of you are not ready to make the leap to a cream based deodorant and want a safer stick option. I’m happy to report that I just discovered one this month by All good. This company is new to me and I was skeptical that “naturally occurring enzymes” and arrowroot powder with essential oils could get the job done. All Good deodorant worked but it’s definitely a twice/day application for me. I tried the Rose Geranium and Jasmine scent which I wasn’t crazy about. I prefer a citrus or mint scent over floral, but it may float your boat. Slightly off topic but I just have to tell you “All good” also has a safer sunscreen option that I got to touch and smell this month. They didn’t leave my hand white!! Natural sunscreens are notorious for making you look like a ghost. I can’t wait to get my hands on a tube this spring. Beautycounter also offers safer sunscreen options that I haven’t had a chance to try yet. Once all this snow melts, a safer sunscreen blogpost is definitely in the works. 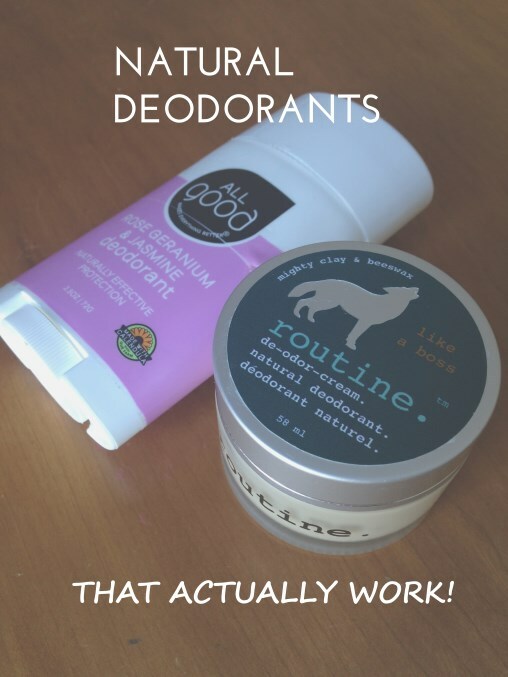 Now you have my top 2 safer deodorants that actually work. I know we all have unique body chemistry so please hit reply and tell me about your favourite deodorant. I’m always on the hunt for the most effective and safest body care products.